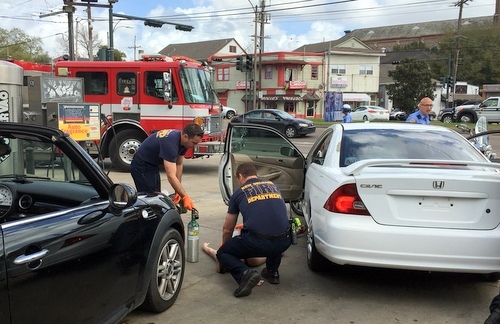 A quick visit to a Mid-City car wash recently became an unexpected lesson for me in the deadly prevalence of our nation’s opioid epidemic when two quick-thinking customers realized that an unresponsive couple whose car was still running had just overdosed. Within minutes of placing 911 calls, a plethora of police, fire and EMS personnel arrived to administer the live-saving drug Naloxone, an antidote medication that reverses opiate overdoses. The NOPD began carrying Naloxone in October 2016 after the City of New Orleans received a $300,000 federal grant and Mayor Landrieu introduced a new “sweeping plan” to address the crisis. In 2016 Louisiana was one of 8 states that had more opioid prescriptions than people. That same year, over 1,000 Louisiana residents died from an overdose of opioids, surpassing the number of deaths from motor vehicles accidents, homicides or suicides. While many cancer and terminally ill patients are regularly prescribed such medication, they account for only 20 percent of patients who receive it. According to the Center for Disease Control, the number of ER visits because of opioid overdose has risen 30 percent. Almost 90 percent of opioid addicts will relapse within the first year. ”We are at war in this country with opioid addiction,” said U.S. Senator John Kennedy last week when he introduced the Stop Trafficking in Fentanyl Act. A synthetic opioid that is mixed with heroin to increase potency, Fentanyl is more deadly than heroin itself. Kennedy’s legislation, also co-authored by two congressmen from other states, will reduce the amount of fentanyl needed to invoke the most serious trafficking penalties for any person trafficking or illegally manufacturing the drug. More than 200 New Orleanians died from drug-related causes in 2016, up 50 percent from 2015. 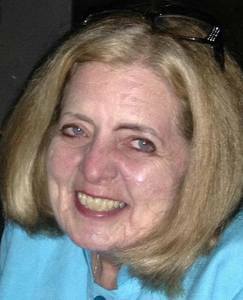 Those deaths include 48 people who died with fentanyl in their systems and 166 more who had ingested other opiates. Naloxone is available without prescription to laypeople including caregivers, family and friends of opioid users. Several months ago the New Orleans Health Department trained librarians on how to spot and stop an opiate overdose. While I did not immediately recognize that the couple sitting in that car had overdosed, others did. At least one life was saved. In a move considered exceedingly ambitious, Ohio U.S. District Judge Daniel Polster is demanding immediate settlement discussions in more than 400 opioid-related federal lawsuits brought by cities, counties and Native American tribes against drug manufacturers, distributors and pharmacy chains. Polster has been personally touched by the crisis and is insisting on meaningful solutions on all economic and non-economic issues related to opioid abuse. The cities of Baton Rouge and Covington and more than a dozen Louisiana sheriffs filed lawsuits. Attorney General Jeff Landry’s office plans to represent Louisiana in the suit filed by the Department of Health. Governor Edwards selected the New Orleans law firm Sher Garner to represent the Department of Health but Landry has blocked the firm by failing to authorize its contract. Landry prefers Mississippi superstar Mike Moore who led the legendary tobacco litigation. On February 26, New Orleans attorney Scott Bickford filed separate litigation on behalf of the Tyler Roach family who had a child born with Neonatal Abstinence Syndrome (NAS) while Mrs. Roach was addicted to opioid-based painkillers prescribed after an automobile accident. Bickford is arguing that the Roach case must be heard apart from the others because of Louisiana’s unique civil code. In a Civil District Court judicial race thought to be exceedingly close, candidate Richard Perque held a fundraiser last night that brought together local trial lawyers and other heavy hitters in advance of the March 24 primary election. Donors in Perque’s corner include Joe Bruno, Dan Foley, Calvin Fayard, Scott Bickford, Mike Motwani, Caroline Fayard, Desiree Charbonnet, Ron Austin, and Ravi Sangisetty who is planning a run for the Louisiana Legislature next year. Perque is also counting on already received endorsements by former U.S. Senator Mary Landrieu and State Rep. Helena Moreno to move his candidacy forward. Tumpeter Kermit Ruffin held a young professionals reception for State Rep candidate Ken Bordes last night at the Mother-In-Law Lounge in Treme. Running in a district whose voters are almost equally divided by race, Bordes hopes to force attorney Royce Duplessis into a runoff. Early voting begins Saturday, March 10 and continues until Saturday, March 17. District E Councilmember James Gray will hold a debt retirement fundraiser tonight at Basin Street Station. Gray has only a few months to pay off his debt before he leaves office on May 7.